Welcome to Stivers Ford's financing and automotive loan page. As the most trustworthy source for new and used Ford automobiles in the Montgomery area near Prattville, we go above and beyond to bring you a top-tier approach to helping you get the financing you need to buy the Ford that works for you. Intrigued to find out more about what we can do to start you on the road to getting financed and driving home in a new Ford? Then spend some time connecting with the finance team here at Stivers Ford so that you can garner a stronger viewpoint of how we handle everything from bad credit concerns to new car repayment plans. After catching up with everything we have to offer from this perspective, you can take the next step with comfort and excitement knowing that nothing can stand between you and your favorite Ford vehicle. Before we go any further, it is a smart idea to break down exactly why working out a loan with Stivers Ford is always in your best interests. The main idea to cover here is that no other group of finance experts can offer up the kind of service and support available here at Stivers Ford. Should you come to us to help you go through your financing options, you can rest easy knowing you have the following benefits and high quality systems on your side. Great Connections with Top Financiers – Making powerful inroads with the most trustworthy organizations, including those across the nation, means that you have a wealth of options to choose from as you look for the appropriate loan. A Desire to Hunt down the Most Agreeable Loan for You – At times, working out the most consumer-friendly terms on your car loan takes a forward-thinking approach to the process of working out the contract. Fortunately, our team is more than willing to negotiate on your behalf and bring to you a financial pact that always puts your needs first. A History of Success – Thanks to having years of automotive industry success on our side, you can feel confident that the entirety of our new car loan team has what it takes to successfully assist you through this sometimes hectic and intricate series of decisions. When it is all said and done, there is no disputing that Stivers Ford is the most trusted source when it comes to picking out the right Ford car – and the appropriate car loan to go with it. Can I Apply for Financing with No Money up Front? Securing an auto loan without dropping a cent at signing is one of the myriad specialty services provided by Stivers Ford and our car loan department. Additionally, if you are successfully qualified for this take on auto loans, you may also be qualified to opt to make no payments for 30 to 60 days with this no money upfront variant to conventional loan agreements. Naturally, working your way into this kind of agreement and paying no money down for your new Ford automobile requires some additional data on our end of the equation. If you are interested in exploring your no money down options, set aside a few minutes and connect with our group of trustworthy auto financing professionals today at (888) 825-8308. Working through low credit as a shopper in Montgomery near Prattville is clearly a situation that can reduce your enjoyment of the car buying process. 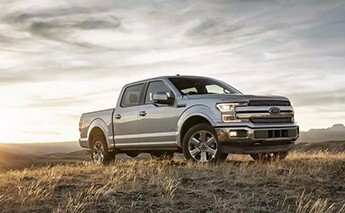 However, by making it a point to bring your business to Stivers Ford, you can leave behind the bad credit blues and work your way toward driving home in your dream car, truck, or sport utility vehicle (SUV) now. Naturally, nobody enjoys fighting through low credit concerns and issues when dealing with a dealership. Even so, while other dealers simply look at this number and build their decision exclusively upon it, we make it a point to consider every little nugget of data regarding your unique situation. In doing this, we have set a standard of commitment and respect for shoppers with poor credit that is unparalleled in Montgomery near Prattville – and served countless customers as they sort through this tough situation and find the right automobile for their unique daily agenda. Of course, each applicant has unique considerations and comes from their own particular background, so it is far from wrong to connect with the car loan staff here at Stivers Ford by dialing (888) 825-8308 first before you add in a visit to your busy weekly schedule and commit to a meeting. By this point, it is time to get started on the process of coming up with the most consumer-friendly way to set up an auto loan for a great new or used Ford from Stivers Ford. With this realization leading the way, we would like to invite you to take a few minutes and complete our easy and secure auto loan application by clicking on the button made available to you on this page. Once we get our hands on this insight into your situation, our tireless credit and loan staff will go ahead and begin gathering data related to the auto loan offers for you. As we you move on to the next step, we will connect with you and break down how best to take advantage of these stellar pricing deals. Thanks again for visiting Stivers Ford and we look forward to connecting you with the best automotive financing opportunities in Montgomery near Prattville (and its surrounding areas) soon!